I do have a bit of training in a kind of painting that is therapeutic for me. I call painting therapeutic subjects, ___________ painting. 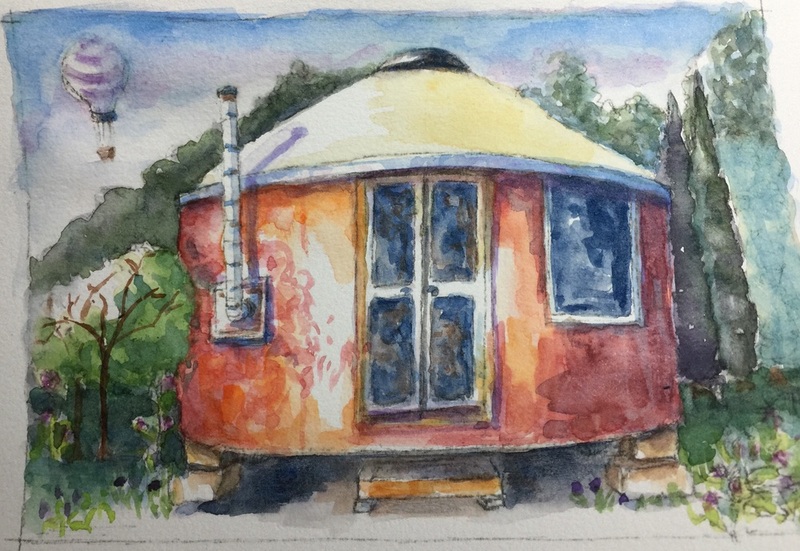 When I am stressed I paint a location that I might want to escape to, like a Tuscan villa or a yurt. Can you help me come up for a name for this type of painting? Do you ever try this?